The Kaman SH-2 Seasprite is a ship-based helicopter with anti-submarine, anti-surface threat capability, including over-the-horizon targeting. This aircraft extends and increases shipboard sensor and weapon capabilities against several types of enemy threats, including submarines of all types, surface ships and patrol craft that may be armed with anti-ship missiles. It was developed for the United States Navy beginning in the late 1950s. To meet its requirements for a fast, all-weather utility helicopter the US Navy held a competition in 1956. Kaman's K-20 model was selected as the winner. 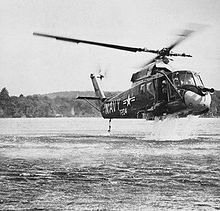 Kaman was awarded a contract for four prototype and 12 production HU2K-1 helicopters in late 1957. The Kaman design featured four blades on the main rotor and three blades on the tail rotor with a single General Electric T58-8F turboshaft engine. In 1960, the HU2K was designated as the frontrunner for a large Royal Canadian Navy anti-submarine helicopter contract, and the Canadian Treasury Board approved an initial procurement of 12 units for $14.5 million. However, Kaman abruptly raised the asking price to $23 million, and RCN staff became concerned that Kaman's performance projections might be too optimistic. 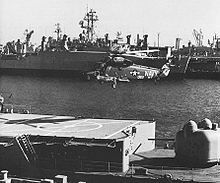 These developments prompted the Naval Board to await upcoming 1961 USN sea trials before approving the purchase. The USN trials revealed that the HU2K was substantially heavier than promised, was underpowered, and was incapable of meeting RCN requirements. In late 1961, the RCN chose the Sikorsky Sea King instead. When the aircraft numbering system was changed in 1962, the HU2K-1 was redesignated the UH-2A and the HU2K-1U was redesignated UH-2B. The UH-2 was used from aircraft carriers for search and rescue. The airframe continued to undergo upgrades, such as the addition of external stores stations. Beginning in 1968, remaining UH-2s were upgraded to use two T58 engines. The UH-2 was selected to be the airframe for the interim Light Airborne Multi-Purpose System (LAMPS) helicopter in October 1970. LAMPS evolved in the late 1960s from an urgent requirement to develop a manned helicopter that would support a non-aviation ship and serve as its tactical Anti-Submarine Warfare arm. Known as LAMPS Mark I, the advanced sensors, processors, and display capabilities aboard the helicopter enabled ships to extend their situational awareness beyond the line-of-sight limitations that hamper shipboard radars and the short distances for acoustic detection and prosecution of underwater threats associated with hull-mounted sonars. H-2s reconfigured for the LAMPS mission were redesignated SH-2D. The first operational SH-2D LAMPS helicopter embarked on the USS Belknap (CG-26) in December 1971. The full LAMPS I system was equipped on the SH-2F. The SH-2F was delivered to the Navy beginning in 1973. This variant had upgraded engines, longer life rotor, and higher take-off weight. 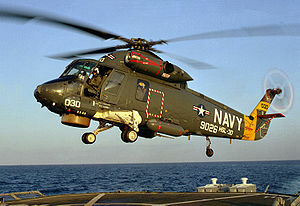 In 1981, the Navy ordered 60 production SH-2Fs. Beginning in 1987, 16 SH-2Fs were upgraded with chin mounted Forward Looking Infrared Sensors (FLIR), Chaff (AIRBOC)/Flares, dual rear mounted IR scramblers, and Missile/Mine detecting equipment. Eventually all but two H-2s then in Navy inventory were remanufactured into SH-2Fs. The final production procurement of the SH-2F was in Fiscal Year 1986. The last six orders for production SH-2Fs were switched to the SH-2G Super Seasprite variant. Following a few years of trials the UH-2 entered service in late 1962. The UH-2 was primarily deployed aboard aircraft carriers in a Search-and-Rescue (SAR) role. SH-2Fs were utilized to enforce Operation Earnest Will (July 1987) and later Operation Praying Mantis (April 1988) and Desert Storm (January 1991) in the Persian Gulf region. The added countermeasures and equipment gave the SH-2F's enhanced survivability while taking on more surface related combat tasking in an environment of limited submarine threat. 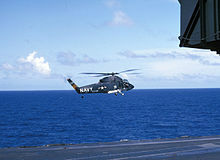 The SH-2F was retired from active service in October 1993, at roughly the same time that the Navy retired and/or sold the last of its (Vietnam era) Knox Class Frigates that could not accommodate the newly acquired (and larger) SH-60 Sea Hawk. The Royal New Zealand Navy (RNZN) replaced its Westland Wasps with two interim SH-2F Seasprites (ex-US Navy), operated and maintained by a mix of Navy and Air Force personnel known as No. 3 Squadron RNZAF Naval Support Flight, to operate with ANZAC class frigates until the fleet of five new SH-2G Super Seasprites were delivered. The Navy air element was transferred to No. 6 Squadron RNZAF at RNZAF Base Auckland in Whenuapai in October 2005. RNZN Seasprites have seen service in East Timor. Six additional SH-2Fs were purchased and are now stationed at the RNZAF Ground Training Wing (GTW) at Woodbourne near Blenheim as training helicopters. An SH-2F (ex-RNZN, NZ3442) is preserved in the Royal New Zealand Air Force Museum, donated to the museum by Kaman Aircraft Corporation after an accident while in service with the RNZN. Airplane Picture - A YUH-2A during ditching trials, 1963. Four test and evaluation prototypes. Later redesignated YUH-2A in 1962. Utility transport helicopter. 102 built. One test and evaluation helicopter. One UH-2C helicopter was equipped to carry and fire, AIM-9 Sidewinder and AIM-7 Sparrow III air-to-air missiles. Airplane Picture - The HH-2C CSAR version from HC-7 during the Vietnam War. Search and rescue helicopter, armed with a single Minigun in a chin-mounted turret. Six conversions. Search and rescue helicopter, without any armament or armor. 67 conversions from UH-2A and UH-2Bs. Anti-submarine warfare helicopter, powered by two 1,350 shp (1,007 kW) General Electric T58-GE-8F turboshaft engines. Improved version. Conversions from SH-2Ds and earlier models. Airplane Picture - A YSH-2E "LAMPS II" prototype approaching USS Fox (CG-33), 1971. The only remaining U.S. Navy HH-2D, bureau number 149031 / callsign "Copyright 14", is currently on display outside at the American Helicopter Museum & Education Center in West Chester, Pennsylvania. An SH-2F, bureau number unknown, is on outside display at the National Museum of Naval Aviation on board Naval Air Station Pensacola, Florida. An SH-2F is on outside display at the intersection of Tow Way Road and Quentin Roosevelt Blvd aboard Naval Air Station North Island, Coronado, California. An SH-2F is preserved in the Royal New Zealand Air Force Museum. SH-2F, bureau number 151321 is currently on display at the Evergreen Aviation & Space Museum in McMinnville, Oregon. SH-2F, bureau number 149021 is currently on display onboard the USS Hornet Museum at Alameda Point, California. SH-2G, bureau number 162576 is currently on display at the Wings of Freedom Aviation Museum, NASJRB Willow Grove, Pa.
Missiles: Non-US aircraft carry a variety of guided missiles, including the AGM-65 Maverick (often used in the anti-ship role) and dedicated anti-ship missiles. Andrade, John M. U.S. Military Aircraft Designations and Serials since 1909. Midland Counties Publications, England, 1979. ISBN 0-904597-22-9. Donald, David; Daniel J. March (2001). 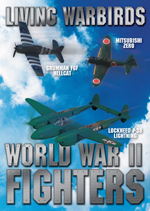 Carrier Aviation Air Power Directory. Norwalk, CT: AIRtime Publishing. 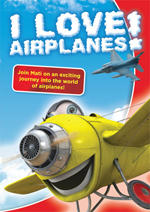 ISBN 1-880588-43-9. Donald, David; Jon Lake (2000). 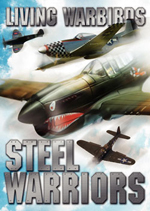 The Encyclopedia of World Military Aircraft. NY, NY: Barnes & Noble. ISBN 0-7607-2208-0. Eden, Paul. "Kaman SH-2 Seasprite", Encyclopedia of Modern Military Aircraft. Amber Books, 2004. ISBN 1904687849. Soward, Stuart E. Hands to Flying Stations, a Recollective History of Canadian Naval Aviation, Volume II. Victoria, British Columbia: Neptune Developments, 1995. 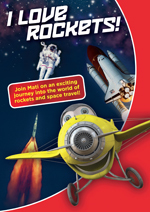 ISBN 0-9697229-1-5.